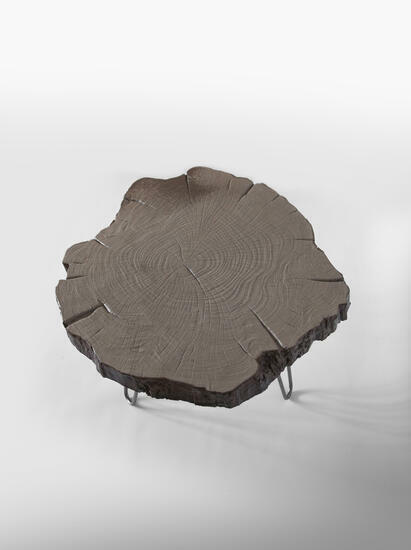 We admit it, unique & high design outdoor furniture is difficult to come by if you’re not spending big bucks. Luckily, having one of the most extensive & design-oriented product offerings in the paving stone world means we get to have an absolute blast trying new designs & building things with our products. 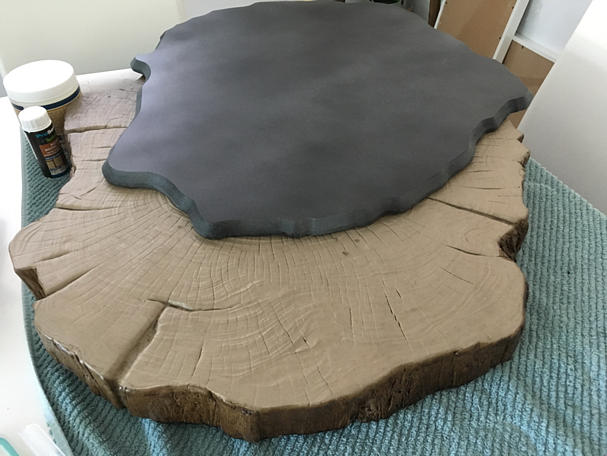 Last weekend, Christopher, one of our graphic artists took a Borealis Stepping Stone home and made a VERY COOL modern coffee table out of it. 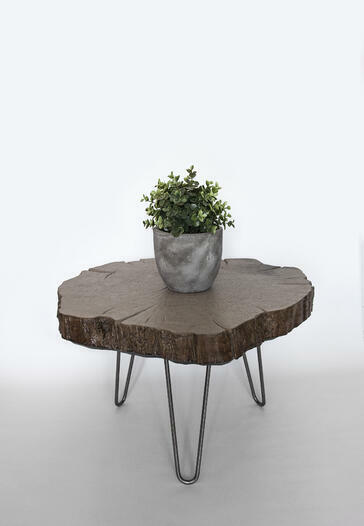 Below he shares his tips on how to build this outdoor concrete coffee table that looks like wood with Techo-Bloc’s Borealis Stepping Stone - a quick add-on for the hardscaper looking to add a unique statement to their homeowners’ outdoor space - Or for handy homeowners looking to satisfy a DIY itch with outdoor furniture that can actually withstand the outdoor elements. 1. Paint the various sides of the Borealis stepping stone with the Techniseal Cognac NL-B Tinted Paver Protector so as to replicate the color variations of natural bark on the edges. Let dry for 24 hours. 2. Cover the entire concrete stone with the Alliance Wet Cast Natural Look Finish, Zero Gloss Sealer (or low gloss sealer if you prefer). At least 2 coats are recommended. 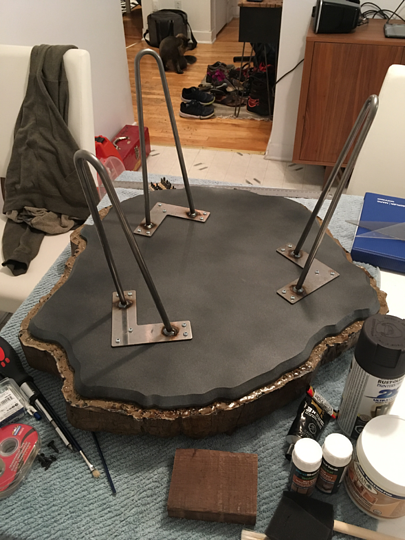 Let dry for 24 hours between coats. 3. 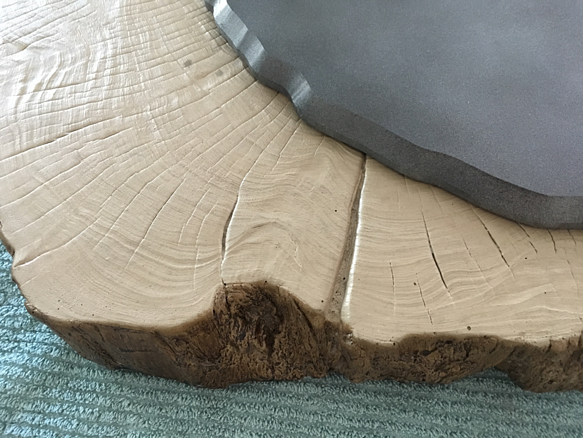 Cut the MDF plank to match the shape of the stone (mind your curves). 4. 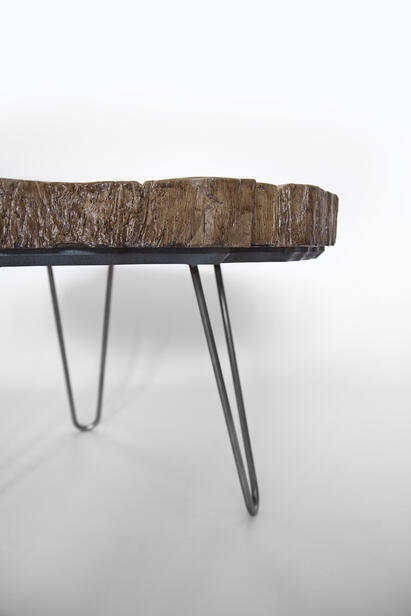 Glue the MDF plank to the bottom of the stone, keeping in mind to line-up the twists and curves of both the plank and stone. 5. Fasten the legs onto the MDF plank. Ensure that they’re evenly spread out because these stones are meant to last, so they’re quite heavy! 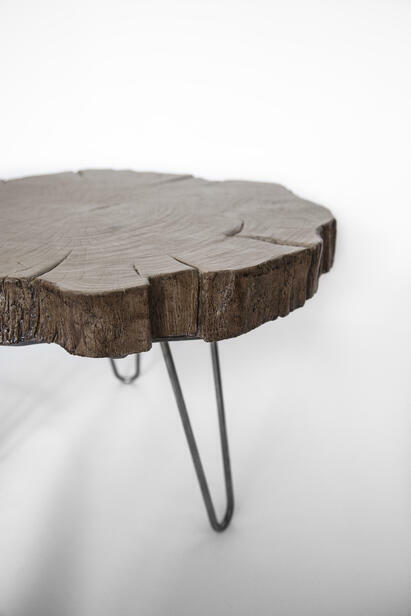 Your coffee table is ready!